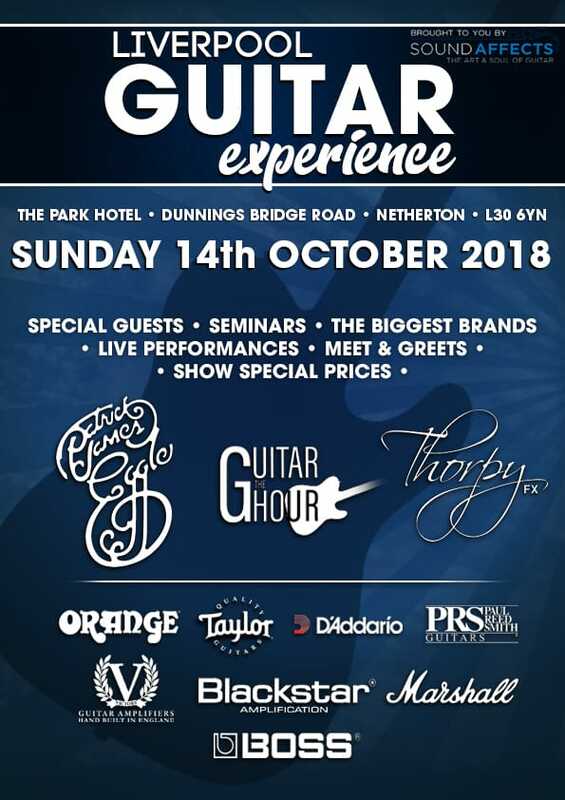 On Sunday 14th October, we will present the first annual Liverpool Guitar Experience at the Park Hotel in Aintree, Netherton, L30 6YN. The experience will play host to some of the biggest brands in the guitar industry, who will be there presenting you with their latest and greatest products at specially discounted prices – for one day only!. Product demonstrators, brand representatives and live performers will be situated throughout the venue, alongside some very special guests and the hotel bar will be open throughout the day. The guitar experience is a small event with a phenomenal lineup. 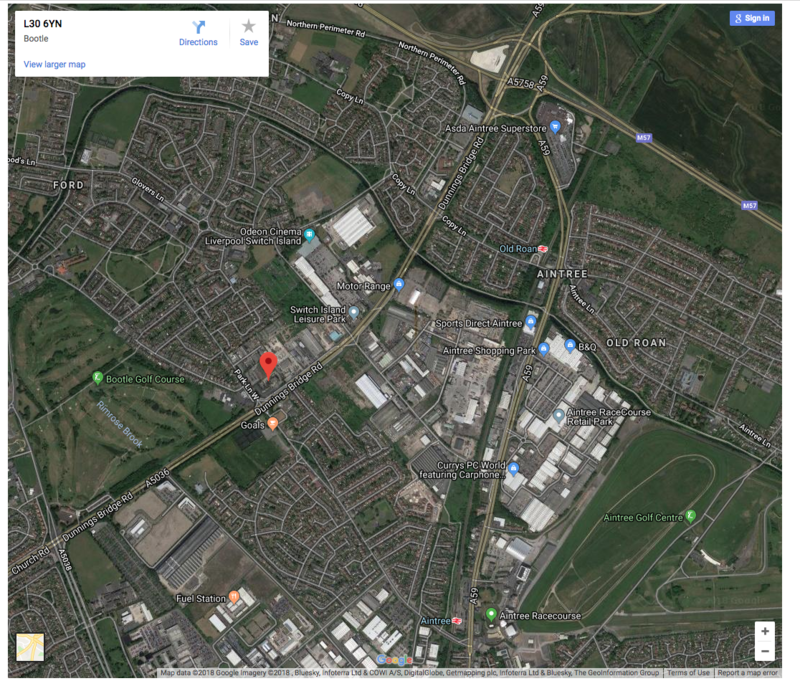 Its goal is to provide an exploration of the boutique product market – from the design and manufacture process, through to their arrival in our store. We will be bringing a selection of our most exciting products for you to explore – James Trussart, PRS, Martin, Chase Bliss Audio, JHS, Fender Custom Shop, Rickenbacker and more – expect massive savings and show prices across a range of products. We will also be announcing an exclusive new service on the day. This service will present our customers with the opportunity to enjoy a much wider range of our products than they may have been able to before. But that is all we are going to say about it here – watch this space, and keep an ear out on the day to find out more about this fantastic opportunity. 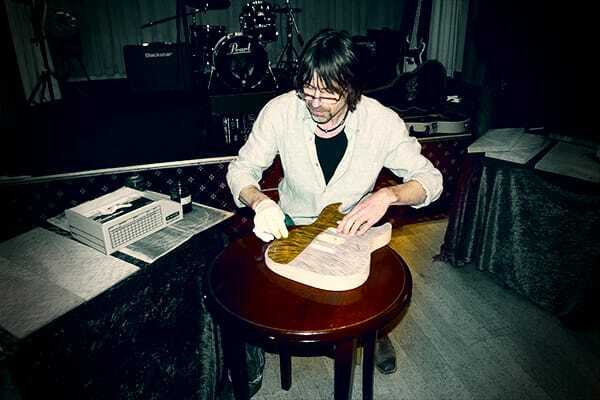 Master Luthier Patrick James Eggle graces us with his company in a meet & greet and seminar, where he will explain his process & instrument designs, and answer questions about the guitar design and building process (Booking Required). Adrian Thorpe of ThorpyFX will present a meet & greet session where he will be discussing his brand & his products, providing insight into what it takes to design a boutique pedal and to address any queries you may have about the world of pedal building (Booking Required). More seminars are still to be announced. This will include Jez Ayscough – Sales Director for PRS Guitars Europe – who has worked alongside Paul Reed Smith on this side of the Atlantic for many years and has the scoop on the latest upcoming releases way before the general public. 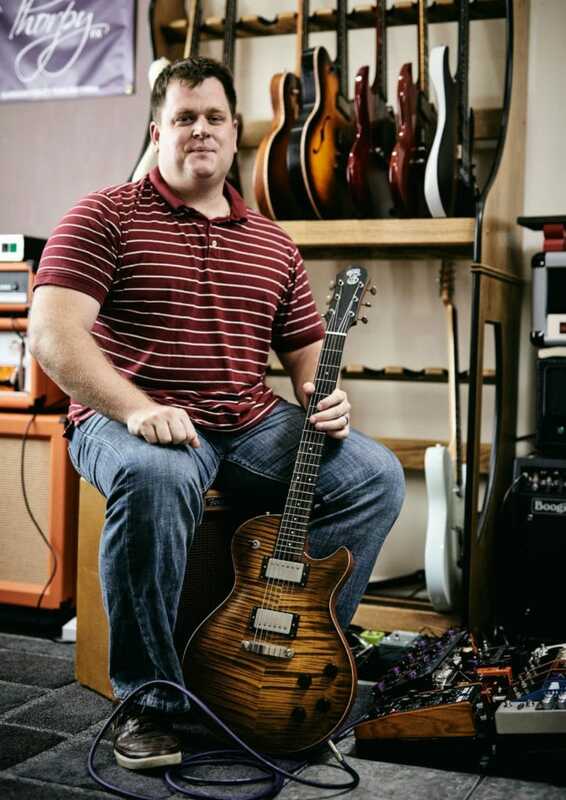 Learn about the day to day running of one of the biggest guitar brands in the world. Please note that these sessions are for a limited number of people and booking is required. We will be allocating positions in these seminars on a preferential basis, so please let us know which session you would like to be allocated to the most, and we will try to keep disappointment to a minimum. 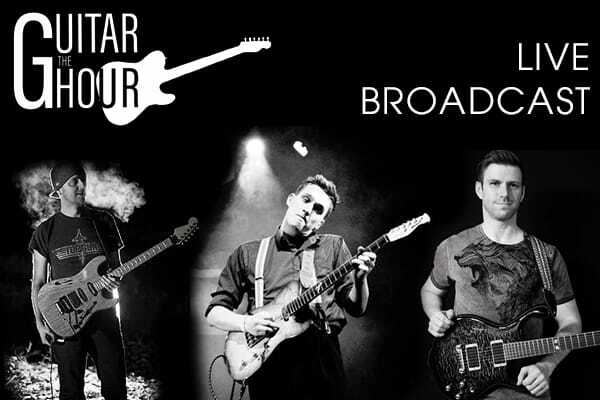 The Guitar Hour Live Broadcast – David Beebee, Dan Smith and Dave Brons will be with us, streaming their famous guitar hour show live at the event. Expect to be entertained by their phenomenal playing, gear talk and much more. Throughout the event we will be hosting hourly giveaways for all attendees – there will be a wide range of excellent prizes to win! We will also be hosting some of the biggest brands in guitar, amplifier and effect manufacture. PRS Guitars will be with us on the day, bringing some exclusive guitars for you to enjoy. Find out about the various models and classes of guitars from one of the biggest electric guitar companies in the world. Taylor Guitars will also be at the event, where you can get to grips with their guitars, and explore the new renowned V-Class bracing system for yourself. BOSS will be around, showcasing everything from their classic pedals, through to the flagship GT-1000 Model and the latest in their series of KATANA amplifiers. Expect all of this and more at an event that promises to be an entertaining and informative experience above all else. Tickets are £5.00 each, purchasable at soundaffects.com – simply click HERE to be taken to the purchase page. E-Ticket – Present proof of purchase in the form of your email receipt upon entry. (This can either be on your phone or as a physical print-out). Patrick Eggle and ThorpyFX Seminars need to be booked in advance – register your choice with us and we will allocate places on a preferential basis.